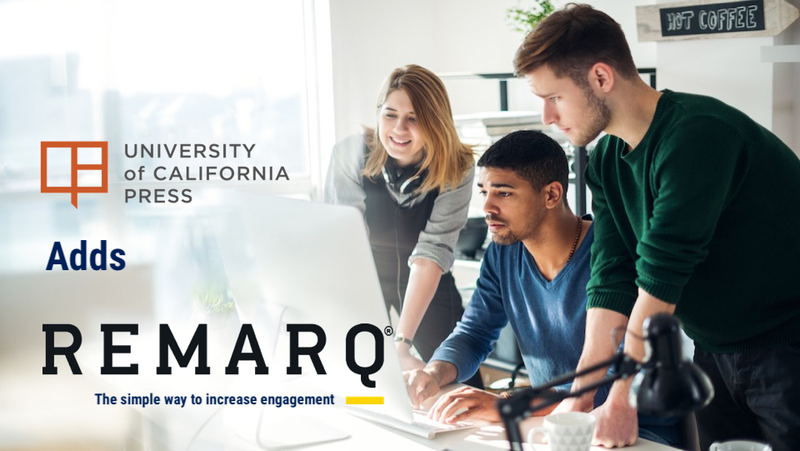 University of California Press and RedLink have partnered to deploy the collaboration platform Remarq on the journal Sociology of Development. October 25, 2018, Westborough MA – RedLink is pleased to announce the launch of Remarq® on the journal Sociology of Development, published by University of California Press. Remarq is a tool for the research and education communities offering collaboration, commenting, article sharing, and editorial tools, all on the publisher’s site and utilizing the Version of Record. Remarq offers engagement tools for publishers, editors and authors, providing opportunities for interaction with readers and greater visibility for published research. Remarq gives editors, authors, and moderators the ability to invite expert commentary, create groups for collaboration, access unique engagement analytics, and more.